Yes, I know it is only January. It's cold. The days are short and I'm stuck inside. But now is the best time to start planning your garden. 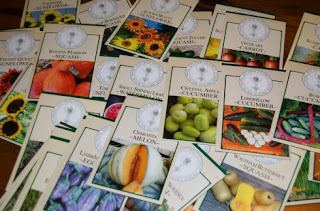 I love January because that's when I start receiving all the seed and gardening catalogs and my dreams begin to come alive! There are so many beautiful pictures in these catalogs. I feel like a little girl looking at the Sears-Roebuck Christmas Wish Book - I want one of everything! However, if I want my flowers and vegetables to look like the pictures in the catalogs, I need to understand how to interpret the catalog's descriptions. 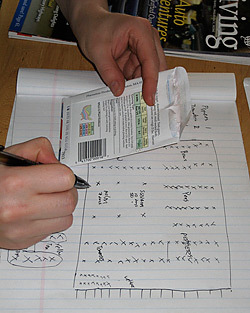 Not all flowers and vegetables are suited to all climates, and seed catalogs will give you the information you need for success. Catalog descriptions usually include specific information, such as plant height (how tall a plant will grow) and plant spread (how much space a plant will take in the garden; flower size, fruit size; the number of days to germination; number of days to maturity. These numbers are estimates, though, because every garden has a unique microclimate. Make sure you know your planting zone, which is how you can find out which plants will grow successfully in your climate. You can find it here if you live in the United States. Also consider the spot you will be planting your flowers and vegetables. Vegetable gardens need a minimum of 6 hours of continuous full sun. Less than that and your plants will be spindly and production will be low. Trust me, I know from bitter experience that you can't fool Mother Nature on this one! If you are planting a flower garden, there are all different plants for different light levels. Terms you will see are full shade, partial shade, partial sun and full sun. Again, a plant that thrives in full shade will burn up in full sun and a flower that needs full sun will be weak and spindly and produce few flowers. Some seeds are treated with fungicides to help them grow in cool, wet soil. However, seeds are available untreated. If a catalog doesn't say that they offer untreated seeds then chances are the seeds are treated. A quick Google search for "untreated seeds" yielded lots of sources. Seed companies want you to be dazzled by their brilliant products. And I am! Don't be afraid to try new varieties. Just remember that if you live in North Dakota, varieties designed to grow well in Florida will be smaller. Have fun shopping!